Mechanical systems include HVAC systems, water heaters and pool pumps. Opportunities to upgrade homes with more efficient heating and cooling systems should be addressed but is often subjective rather than objective-based. 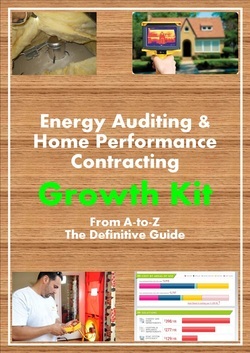 Energy auditors that work for HVAC contractors will be more likely to know and promote HVAC advances and upgrades available than a contractor who does insulation or windows. Energy audits can be done with an HVAC inspection but it is not required. Often home performance upgrades like air sealing, duct sealing, reducing the static pressure and insulation will extend the life of an older HVAC system but that does not mean that replacing the HVAC system should be ignored. An older HVAC system may continue to run, but it’s costing the homeowner money and can lead to higher replacement cost if emergency work is done. Higher SEER and AFUE units offer lower energy bills to homeowners, give peace of mind with new warranties and have better technology than units 20 years old. If you live in a cooling dominated climate like Phoenix or Houston, than you will talk more about SEER and air conditioning. In heating dominated climates like Chicago and New York, AFUE and furnaces speak more to homeowners than air conditioning does. Higher efficient units also offer dual and variable speed compressors and blower motors for greater comfort also. Just make sure that you are offering a whole home package when selling HVAC units, not just a HVAC-package. This means that you recommend oversized plenums to low static pressure, high flow registers, a sealed ductwork system as part of a new unit replacement. Also include thermal boundary work like air sealing and insulation to complete the whole home package. Water heaters have been required to have more insulation around the tank since 2015 but replacement water heaters also can go into solar thermal and on-demand tankless water heaters as alternatives to reduce utility costs. A electric water heater can cost a family of 4, $400-$500 a year to operate. Gas water heaters cost about $200-$300 to operate but are less efficient. Electric water heaters have a high efficiency of 90% because the heating elements are surrounded by the water they heat, so very little waste occurs. Gas water heaters use a pilot light and burner to heat the bottom of the tank which heats the water, and are about 62% efficient. There are two types of solar water heaters -direct or indirect. A direct solar thermal system heats the drinking water directly which goes into the water heater tank for consumption, the same water that gets pumps up to the solar collectors goes into the water heater for consumption. An indirect solar thermal system uses a closed heat transfer fluid like glycol to heat the water. The heat transfer fluid is pumped to the solar panel collectors, heated by the sun, and then goes to the water heater tank where it touches with the potable water and heats it. Solar water heaters that are directly heated have the issue of freezing in the collectors so the collectors come with a freeze protection safety pin that drains the water out of the collector if the water starts to expand and freeze before the collectors get damaged. Indirect solar water heaters do not have the issues of freezing, but some people don’t like the idea of glycol in their water heater because of the potential leak. Solar water heating systems cost $5,500-$8,500. Tankless water heaters save space because all the heating elements are contained within a 2x2 box mounted on the wall. Inside of box are heating elements that almost flash the water with heat only as needed. This is how they save money. By only heating the water when needed, homeowners are eliminating the traditional way of keeping water hot in a tank, which is all the time whether the water is being used or not. Pool pumps are starting to be mandated in many states to be variable speed pumps rather than single speed pumps. Single speed pumps are wasteful because they turn the pool water over many more times than is needed to keep the pool clean and sanitary. Variable speed pool pumps slow down the RPM’s of the motor and use exponentially less energy, cleans the pool better because the pump runs longer and the water spends more time over the filter and mixes the pool water more.